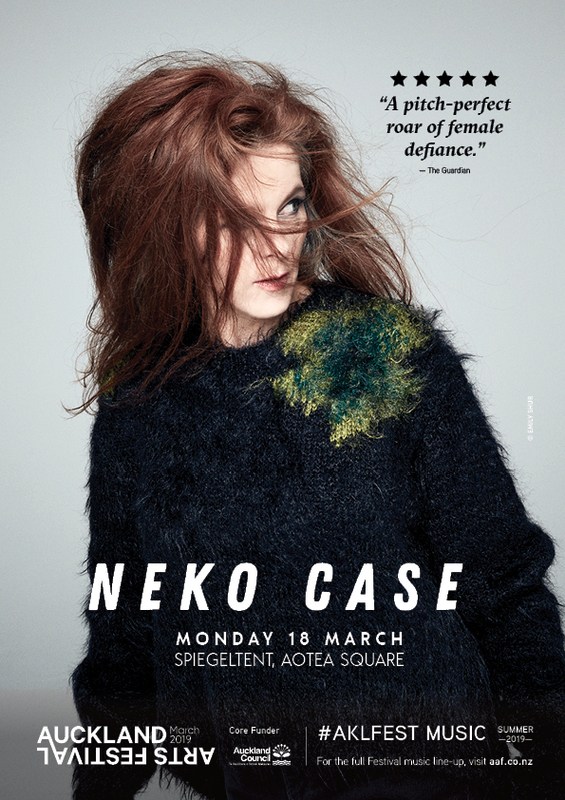 Fearless, versatile, and with a voice like a siren, gifted American singer-songwriter Neko Case is a force to be reckoned with. Touring her new, critically acclaimed album 'Hell-On' – “a pitch-perfect roar of female defiance… [and] another high-point in Case’s unstintingly stirring career,” exclaimed The Guardian in a five-star review – Case’s fire as a lyricist and artist burns bright across a heady array of power pop arrangements and spine-tingling slow songs, each surging with heart, emotion, and compelling rage. A stalwart of Canadian band The New Pornographers and a formidable presence in indie rock, country, and folk over two decades, Case is a performer whose life force and poetic sensibility is unmistakable. Join “indie’s greatest singer” (Rolling Stone) and “one of the most memorable and seductive voices in music” (NPR) for a concert that will make the Spiegeltent swell and take you breath away.